Why Shree Mahabali Express Pvt. Ltd.
We would like to introduce Shree Mahabali Express Pvt. Ltd., a leading integrated courier and delivery service provider. Shree Mahabali Express Pvt. 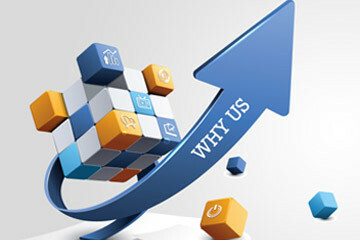 Ltd. was formed and established in 2005 and has developed into a leading delivery solutions organization. We have an extensive and strong network covering Gujarat as well as across India and prime international locations. We strive to achieve excellence in delivery capabilities. By focusing on each individual customer we offer highly innovative and customized solutions. Shree Mahabali Express Pvt. Ltd. is positioned to increase value addition to our customers through time and cost savings. A company based on honesty, best practices courier express and transportation expertise to manage by exception any commodity in the shipment lifecycle. An established brand, well known and respected in our industry. A vast network of transportation intelligence embodied in our people. A dedicated and passionate staff, eager to develop solutions and committed to service excellence — across our offices, partners, customers and future prospects. A corporate culture that exceeds job satisfaction expectations. In short, Shree Mahabali Express Pvt. Ltd. delivers — what you need, when and where you want it. Like our people and partners, our customers are part of Shree Mahabali Express Pvt. Ltd. extended family. When you are a Shree Mahabali Express Pvt. Ltd. customer, your business is our business. Your timetable is our timetable. Your growth and business objectives are ours, too. This is why companies of all sizes and across multiple industries and vertical markets choose Shree Mahabali Express Pvt. Ltd.. Our commitment to customers is deep and abiding. No logistics challenge is too complex for us. No distance is too far. No shipment is too large.